If your business, association, or industry hosts, meetings, national conferences, trade shows, reunions, or any other special event - Bring It Home. Bringing your organization's meeting to Omaha provides an economic boost to our local economy. 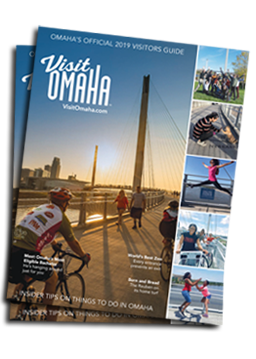 Out-of-town visitors spend more than one billion dollars every year in Omaha, eating out in local restaurants, shopping in Omaha stores, visiting attractions and staying in Omaha hotels. Visitors help support more than 16,000 local jobs and provide tax relief. Taxes generated by visitor spending saves each Douglas County household $682 every year. Without tourism, taxes would go up or the current level of government services would go down. What's more, bringing your organization's event to Omaha provides you and your organization the opportunity to showcase your hometown, your organization's facilities, professional staff and other amenities. Gather information on how your organization chooses its meeting and event locations and recommend the best facilities to suit your organization's needs. Request and organize competing bids from local meeting venues and hotels. Connect you with local attractions, entertainment and other services to help make your event memorable. Lend the professional experience needed to build enthusiasm and attendance for your event. Learn more about becoming a Hometown Hero! Contact the Omaha Convention & Visitors Bureau at 402.444.4660 or fill out the form below and we'll be in touch.